I was at the Tour de France, specifically the last three days and got to see Bradley Wiggins crowned the first British winner – historic or what? I was there thanks to a girlfriend who was working for Eurosport, interviewing the riders pre- and post-race. What a brill job? Indeed, she’s an old hand at this and not only is she a gifted linguist, her other half’s a professional cyclist, so she knows many in the professional peloton and, as you can see from the photograph, she’s very attractive – it doesn’t hurt. In fact, and deservedly so, she’s built quite a following on Twitter and Facebook. If you’re interested, you can read about my experience over on VeloVoices. In effect, with the travel, that took out five whole days but I don’t regret a single moment! I was in two minds whether or not to go but my beloved, ever the voice of reason, said I might regret it if I didn’t and he was soooooooooooooo right. I made loads of great contacts for future VeloVoices interviews whom I’ll hopefully be able to catch up with either during the Vuelta or maybe the World Championships. My Tour highlight in truth wasn’t Wiggo’s win but rather Tommy Voeckler’s endorsement of my (in)famous pain d’epice! I also got to meet Maurice Greene who’ll be commentating during the Olympics for Eurosport and, while he knew nothing about cycling, really got caught up in the whole atmosphere. I flew back from Paris at the crack of dawn on Monday morning, in truth it’s debatable whether it was worth getting a hotel room at all on Sunday evening. 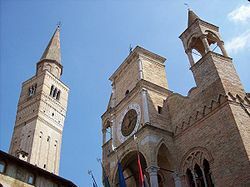 The plan was to head straight down to Pordenone, north-east of Venice, where my beloved was meeting one of his clients. I’d decided to go along because it’s close to where one of my dearest friends lives whom I don’t get to see as much as I’d really like. In the end, due to other commitments, we didn’t leave until after lunch by which time I was really flagging. You know how I need my eight hours a night. Mindful of my commitment to racing an uphill time-trial, I took my bike because Pordenone is in the foothills of the Dolomites. On day one, Tuesday, I rode out to the base of the Dolomites and alongside of them on some strade bianche where I needed to fully concentrate in order to stay upright. I discovered that speed really was essential. I did a round trip of about 75km, nothing too demanding as it was all on the flat. On day two I decided to check out the route to Asolo as I really didn’t want to get lost en route and have to call my friend to come rescue me – too embarrassing to contemplate. Another 75km round trip along country roads with nary a car in sight and plenty of picturesque villages to explore. 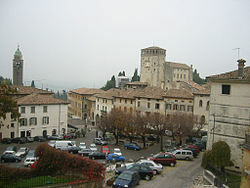 Wednesday I rode over to Asolo. Again around 75km but it was made more difficult by the heat and a headwind. It took me just three hours and I only really encountered traffic on the last 20km stretch where I was almost cut up by white van man on the exit out of Montebelluno. It was another relatively flat stretch apart from the climb up to the historic town centre. All this cycling has been negated by delicious evening meals at charming family run Italian restaurants. Packed restaurants where we’d only gotten tables thanks to either reservations or contacts! Ecomonic crisis? Britain’s Mark Cavendish, winner of 18 races this year, including the Tour de France’s green jersey and the World Championship Road Race, surely deserves to add “BBC Sports Personality of the Year 2011” to his palmares. Please vote for him – NOW. I’m not asking again. Thursday night Postscript: The winner is Cavvvvvvvvvvvvvvvvvvvvvv who typically started his acceptance speech by thanking his team mates. Spending more time than I might wish on my home trainer the past week has given me ample opportunity to reflect on the 2011 road racing season. As you know, I often find it difficult to restrict myself to just one favourite moment, rider, team, race or indeed anything. Indecisive or greedy – you decide. Given my preference for live sport, my recollections tend to be coloured by the races I’ve watched in person. So here goes. It’s hard to argue against the collective wisdom of the Velo d’Or jury, so I won’t. With his 18 wins, it just has to be Phil Gil. Though it just wasn’t the quantity, it was also the quality of those wins, his majestic presence and aggressive, attacking style of riding which thrilled us all. 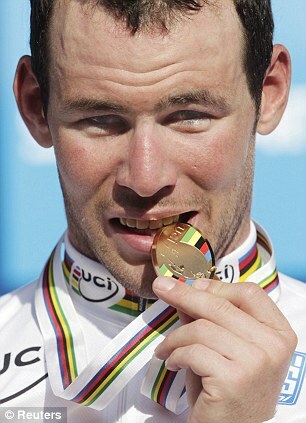 Although in my mind, Phil Gil was head and shoulders above all the other contenders, making it onto the podium in second place is Britain’s own Manx missile: Mark Cavendish. The Grand Tour wins, the green jersey (finally) and that magnificent win in the World Championships. Says it all really. I was in a quandary about third place, should it be Thor Hushovd who so magnificently honoured the rainbow jersey, particularly during the Tour de France or should it be Tony Martin for his emphatic dethronement of Fabian Cancellara, a man who last year looked unbeatable. It’s a tricky one isn’t it? So, I’m going to squash them both on the podium in joint third place. Honourable mentions should go to Edvald Boassen Hagen and France’s chouchou, Tommy Voeckler, both largely for their Tour de France performances. 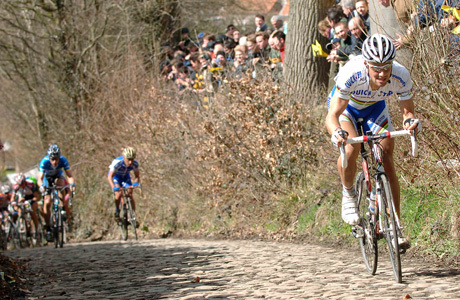 I was there, so it has to be Paris-Roubaix. The race had everything. Fine weather, fantastic atmosphere, favourites desperate to win beaten by an unfancied rider who, to add to the drama, proposed to his long-term girlfriend on the podium. I just love it when a non-contender, albeit hardworking and long-deserving, takes a really big win in one of the Monuments. Congratulations to Mr (and Mrs) Johan Vansummeren and commiserations to the mighty Thor. In second place, it’s the Men’s Road Race at the World Championships in Copenhagen. While the course was made for Cavendish, the planning and preparation to get him there allied to GB’s phenomenal display of teamwork on the day, controlling the race from start to finish, was truly impressive and hugely exciting. Had I been there, I suspect that Milan San Remo might well have been my third choice on account of Matt Goss’s uber-intelligent ride. For similar reasons, I could also have plumped for Nick Nuyen’s win in the Tour of Flanders, but I haven’t. No, I’m going for Clasica San Sebastian, a delightfully fun race with a terrific party atmosphere thanks to the Basques enduring love of cycling. This race demonstrated Phil Gil’s dominance over the peloton in hilly Classics. You could almost see the collective drooping of shoulders and the “Well that’s it then” attitude as he raced to victory after some token Basque resistance. When the touch paper was lit in the third week in the Alps I was there to see the old-style heroics, epic defence of the yellow jersey, stages full of suspense, a French stage winner and, most importantly, some great racing culminating in a worthy winner. The Tour had it all in spades. While, we might have deplored the loss to injury in the first week of a number of favourites, that’s bike racing. In second place, the Vuelta, the wonderful Tour of Spain which this year I was fortunate to attend albeit only for a couple of days. Unlike the Tour the atmosphere is much more relaxed, for all concerned, and the race much more accessible. The result was also wildly unpredictable and was all the better for it. It also provided my “Best Moment” of the year when Basque rider Igor Anton won the first Vuelta stage to finish in the Basque country for 33 years. The fever pitch excitement and wall of sound as he approached the finish line had to be heard and seen to be believed. In third place, the Criterium du Dauphine, won by one Bradley Wiggins, which left us all wondering what might have been when Brad crashed out of the Tour. While it probably wasn’t his avowed intention to win the race, once in the leader’s jersey, he and team Sky rode intelligently. Opinion seems to be divided on which race provides the best preparation for the Tour. But, if you wanted to win this year’s Tour, then this race won easily as it allowed you to ride the decisive Grenoble time-trial. To be honest it’s a bit of a no brainer. 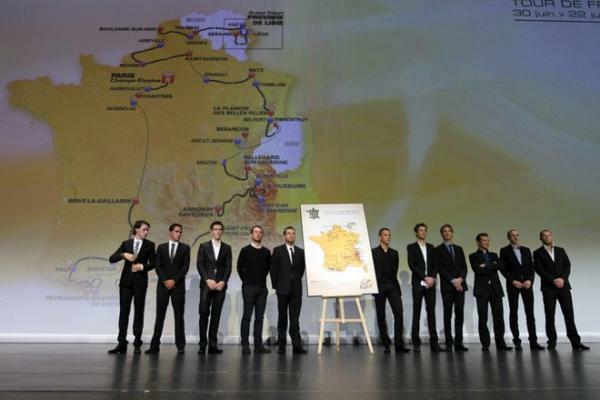 Which organisation owns both the Dauphine and the Tour de France? Exactly, nuff said. What about the Giro, I hear you ask. Well, it was over almost before it started thanks to a master coup by Bert and Riis on Nibali’s home turf. In short, it was too hard and too predictable. Also way down the list for consideration, in fact in absolute bottom place, The Tour of Beijing. No need to explain why. Who won the most races (again)? Exactly, it was HTC-High Road who have promoted young talent (including both current road race and time-trial World Champions) and bestrode the peloton like a colossus for the past few years racking up around 500 wins. Their reward – disbandment due to lack of sponsorship. Hard to believe and very worrying for the sport. It just has to be Bjarne Riis and Nick Nuyens in the Tour of Flanders. The latter didn’t figure as one of the favourites despite his credentials and recent win in Dwars Door Vlaanderen. He was invisible until the final break. Having lost touch with the favourites on the Kwaremount, he regained contact, kept out of trouble and popped up in the right place at the right time. First over the finish line to hand Riis back-to-back wins. Who’s LeOghing now? There’s a couple of contenders here. Should it be Thomas Voeckler’s fourth place in the Tour, team mate Pierre Roland’s win atop iconic L’Alpe d’Huez or Vuelta runner-up Chris Froome? To everyone’s total surprise, Kenyan borne adopted Brit Chris Froome finished the Vuelta ahead of Sky’s team leader Bradley Wiggins in third and might have won were it not for Cobo’s bonus seconds. Wisely he’d postponed contract negotiations with Sky until after the Vuelta so maybe it wasn’t an unexpected result for Chris who seized his opportunity with both hands while still playing the role of loyal team mate. He won’t be flying under the radar next year. It would be wholly inappropriate to call this event a disappointment. Instead it was for me the real low point of the cycling year. I am, of course, talking about Wouter Weylandt’s death from a high speed fall during the Giro. It reminded us in the strongest possible terms that cycling is a very dangerous sport. If I close my eyes I can still see that short cameo shot of the medics trying to revive his lifeless body. The point was further underlined with Juan Mauricio Soler’s fall in the Tour of Switzerland for which he is still undergoing rehabilitation. Many more of us watched with horror during this year’s Tour de France as 1) a motorbike deprived Nicki Sorenson of his bike, depositing him at a roadside picnic and 2) an official car from France TV, driven with scant regard for rider safety, sent Messrs Flecha and Hoogerland flying, the latter into barbed wire. These are legion in the peloton and the UCI pays them little regard. Many have that Eurovision chilling score of “nul points” and therefore little negotiable value in the transfer market. There’s not enough space (or time) to list them all but let’s have a round of applause for all the teams’ hard working, selfless domestiques. Also, hats off to those team leaders who always recognise the invaluable contribution of their team mates. 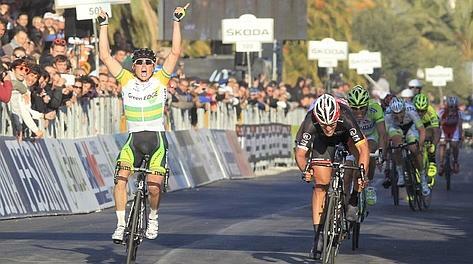 Seeing Sammy win atop Luz Ardiden to record (unbelievably) his maiden Tour win. How good was that? You see, too much thinking time results in my longest blog ever! Sometimes weeks just don’t pan out the way you’d hoped or planned. This has been one such week. Obligations have circumvented my desire to dip into my recent delivery of books and watch the live presentations of next year’s Giro and Tour routes. Instead, I have found myself reading everyone else’s views. So there’s not much left for me to add as others have pondered at length the suitability of the routes for various riders and highlighted key stages which might influence the outcome of both races. However, while reading the summaries, a comment caught my attention where references were made to “red carpets” and “stylish attire”. Were we talking award ceremonies and lycra clad lovelies or was this about the parcours of a race? Possibly both. I decided to check out the photographic evidence. First up, the Giro and, yes, the Italians are pretty snappy dressers. I was going to criticize Michele Scarponi for his rather 50s style casual outfit until I realised that Damiano Cunego was similarly clad. Obviously a team mandated outfit with both riders wishing they were wearing anything but. Clearly Jakob Fuglsang and Mark Cavendish, who both look to be squirming in their seats, appear woefully underdressed. And they’re not the only ones. There were a number of jean and sweatshirt clad riders. Unlike Alberto Contador, who it has to be said looks every inch a winner. In mitigation, the boys don’t work in offices and spend their days either in lycra or their team’s idea of casual sporting wear. They probably have little call for formal wear apart from award ceremonies, weddings and the odd formal invitation. I think this is what probably explains the plethora of shiny and dark outfits. They’ve been bought to be worn at weddings where typically in Europe everyone wears, for want of better words, evening or cocktail attire. IMHO occasions such as these presentations warrant at least a suit, or jacket and trousers. I appreciate the fashion for wearing suits with dress shirts and no ties, but dress shirts are meant to be worn with ties, so button downs, t-shirts or more casual shirts look rather better if you’re going tieless. 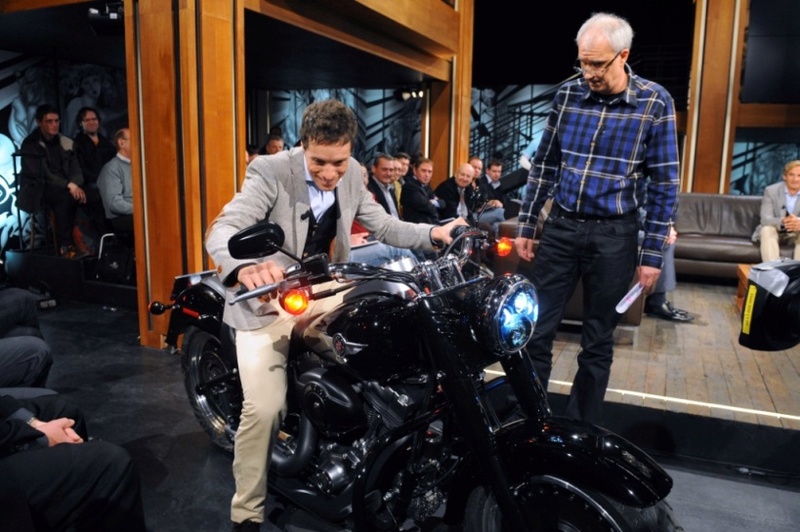 No, that’s not a nod towards Dan Martin’s v-necked t-shirt and trendy too small jacket. With their very slim physiques, the boys also probably find it difficult to buy well fitting, off the peg, outfits. Looking at a few of them in shots where they were standing, I was itching to whip out my box of pins and take up a few of the overlong trouser legs. Me, a woman who has been known to take buttons to the repairers to be put back on to garments. Things don’t necessarily improve when they retire. Here’s some blasts from the past with Hushovd and Ballan. To be fair, on the few occasions I’ve encountered Super Mario, he’s been impeccably turned out but here he looks to be wearing a jacket from his foray into the Italian version of “Strictly Come Dancing”. Still he and Gianni Bugno are both wearing ties while Paolo Bettini, at clearly a little over his fighting weight, is wearing an incredibly shiny suit. Next, our attention turns to the Tour Presentation where Yannick Noah, former darling of the French clay courts, was roped in to assist because, I asssume, of his connection to Le Coq Sportif who henceforth will be providing the yellow jersey. Yannick looking suitably laid back next to an (what else) impeccably attired Badger. Most of the boys seemed to sharpen their act for the Tour, although Cav remained resolutely casually dressed. A number of the boys had problems knotting their ties but, as they were probably travelling without their wives (and wardrobe moderators) this can be overlooked. Current and former Tour champions easily won the best turned out competition with the Olympic champion running them close. One of my girlfriends wisely advises “dress for the job you want, not the job you’ve got!” She’s a Harvard alumni who lectures widely on leadership and has a high profile career in property development. As I looked at this photo, her phrase sprang to mind. What do those boys want to do next?